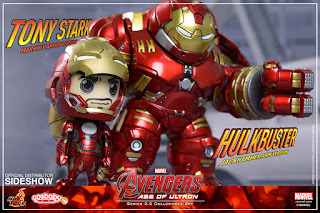 For any CosBaby fans, the Avengers 2 AOU Series 2.5 set is available for PreOrder now! 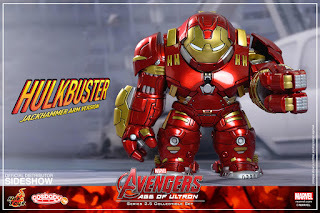 This Hulkbuster comes with the Jackhammer arm and Tony armored with the Mark XLV. 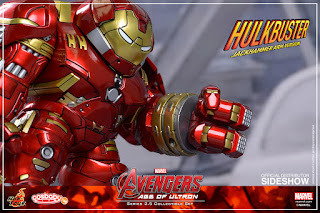 Check out pics and details below! 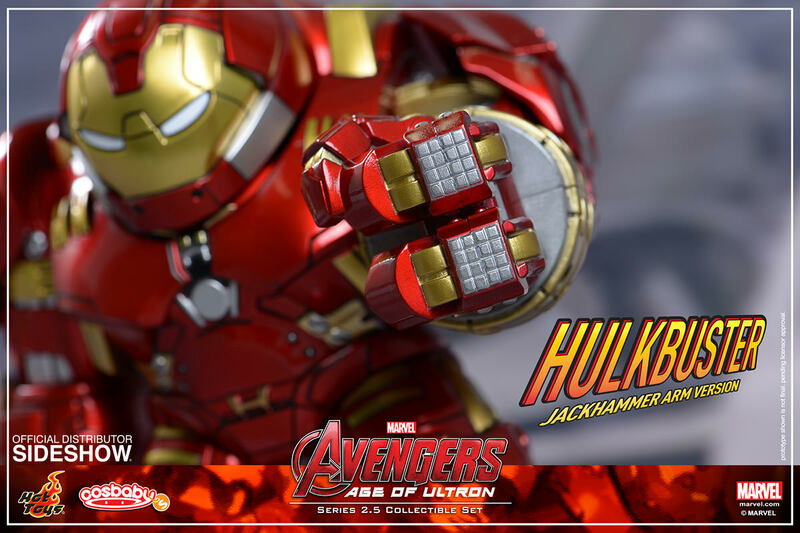 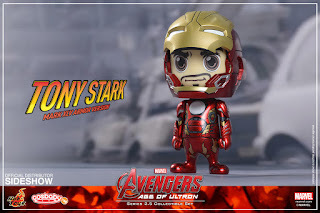 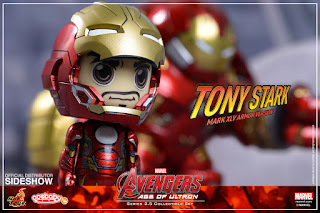 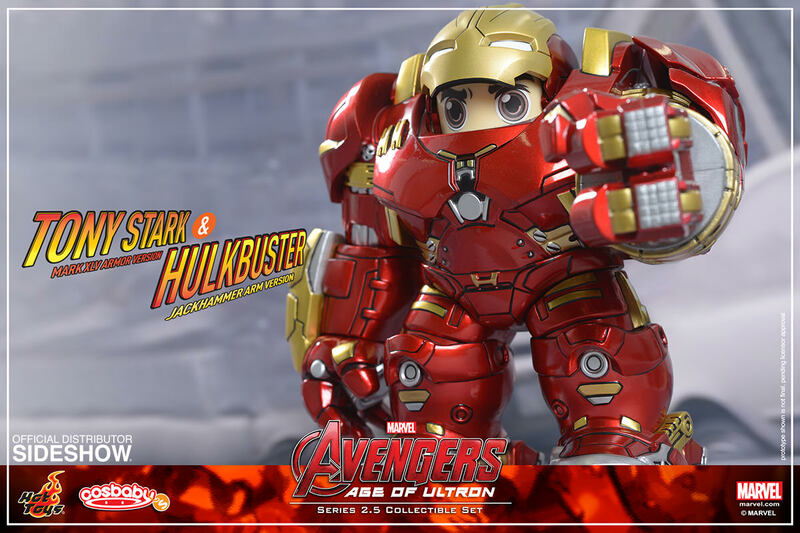 Marvel’s Avengers: Age of Ultron Cosbaby series by Hot Toys have been popular with fans upon their debut, and today Sideshow Collectibles and Hot toys are delighted to continue this line and officially present the new Avengers: Age of Ultron Cosbaby Series 2.5, which features the Hulkbuster (Jackhammer Arm Version) and Tony Stark (Mark XLV Armor Version)! 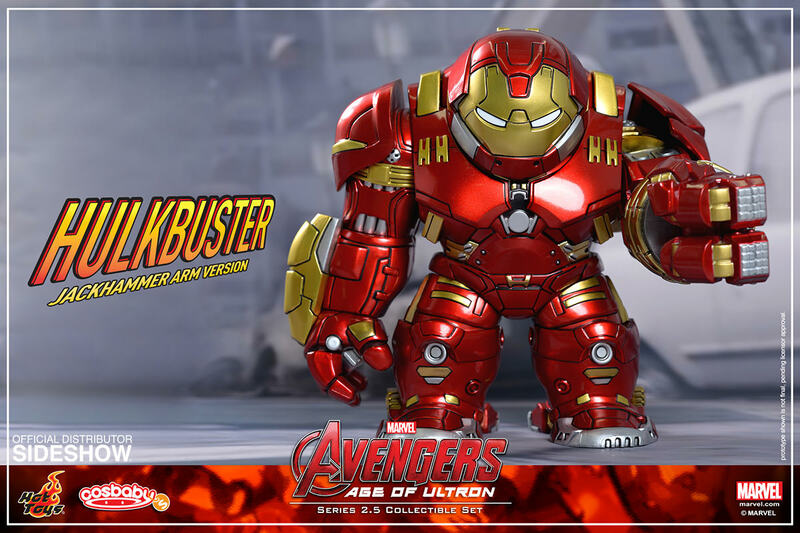 The Hulkbuster stands approximately 14cm tall, and Tony Stark (Mark XLV Armor Version) is approximately 9.5cm tall. 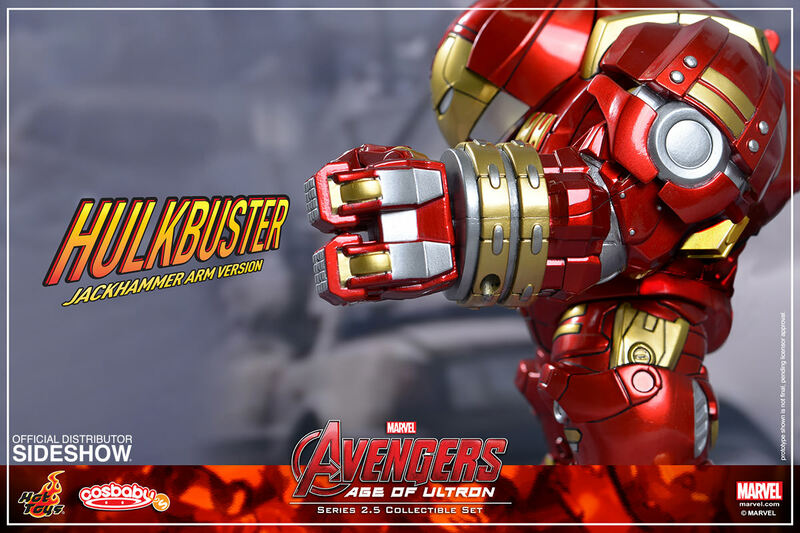 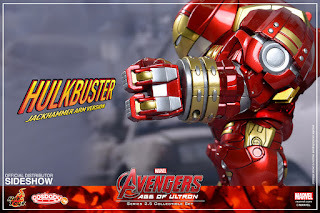 The Hulkbuster has a jackhammer arm design, and its helmet can be opened up to put in an Iron Man Cosbaby! 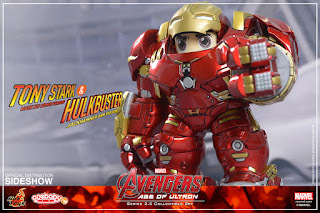 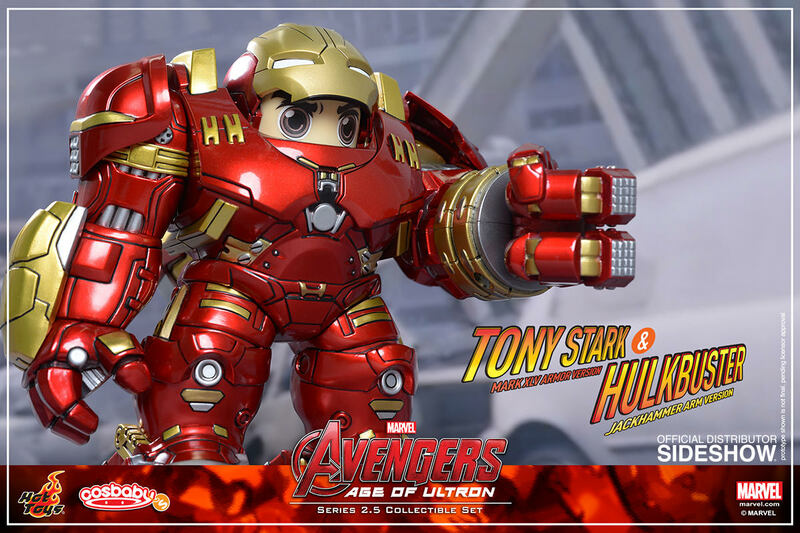 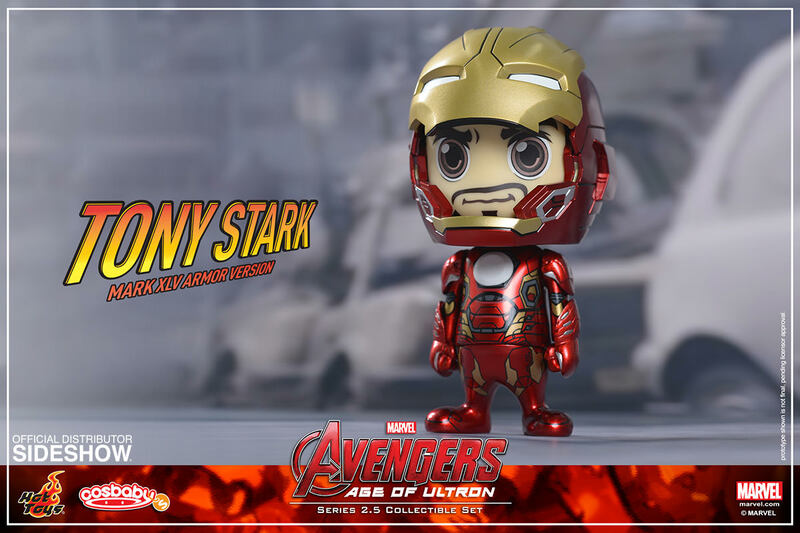 Fans of Iron Man and Hulkbuster shouldn’t miss the chance to add these adorable Cosbabies to their collections!